Continuous induction annealing is particularly appropriate for thermal condition stability of the material during the process, and for its repetitiveness over time using apposite thermo-regulation software. 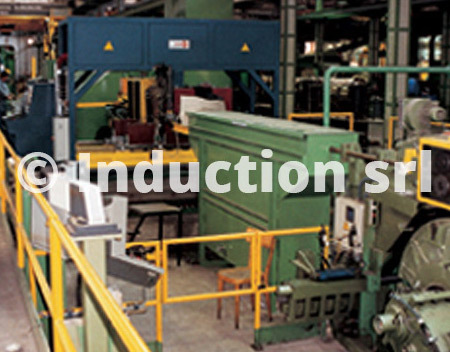 Besides static converters of the appropriate power, and tunnel switches of various sizes depending on production required, often annealing systems are also composed of significant mechanics for moving, cooling, storing and adjusting that optimizes the metallurgical process and allows quick changes in production. Furthermore, custom supervision systems allow to automatically manage complex lines, and advanced databases permit the storage of process parameters for supporting quality. Reduced dimensions of the plant layout with respect to conventional heating systems, high efficiency, accurate control of process parameters, and low system and operation costs, allow induction heating to be used even for the normalization of shaped mechanical parts when eliminating internal tensional states due to machining.